Simple and reliable feeder for fast feeding of large piece linen. 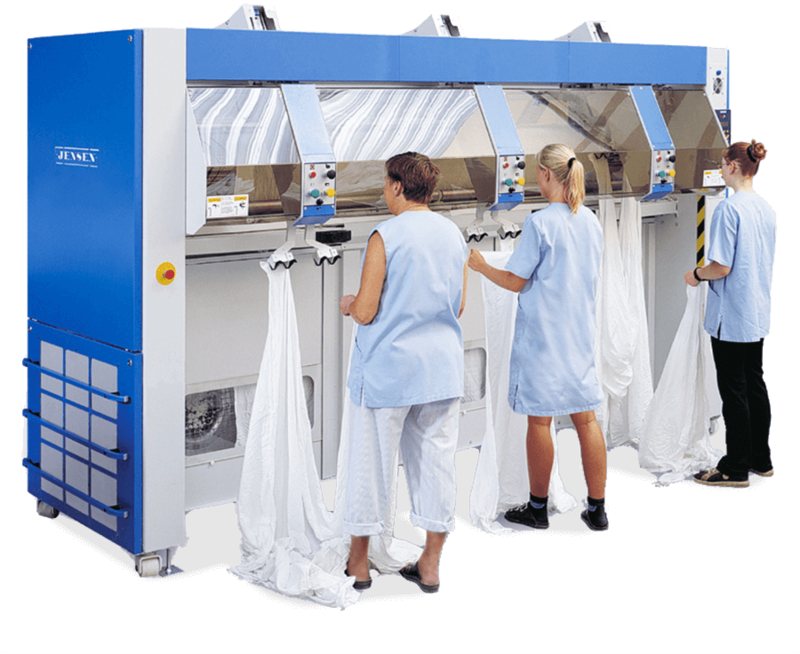 Designed to handle sheets and duvet covers in 1 or 2 lanes. Available with 2, 3 or 4 feeding stations. Simple and reliable large-piece feeder designed for the healthcare segment. Fast and easy feeding of large pieces thanks to the unique "Easy Clamp", enabling the operators to easily clip corners into the clamps.